Hello there! 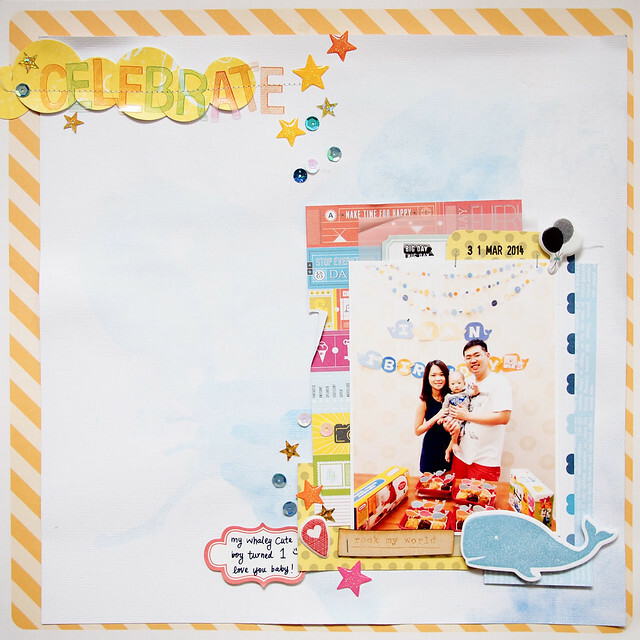 This is Sam to share one of my layout using the 6x6 paper pad that is included in the April Pocket Life kit. I am loving the bright colours with a pop of yellow in this month kit. Although yellow is not my favourite colour but I love how the colour made the layout pop. And here's my layout that I created under an hour - I started off with adding blue water-colour to the background to mimic the sea. 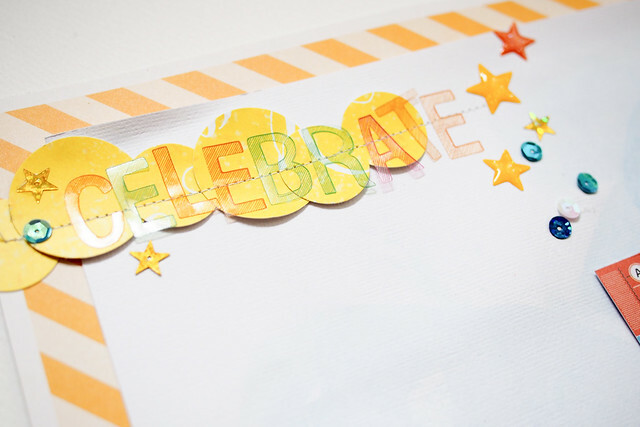 And layer some papers from the paper pad to create a cluster of layering. Sprinkle some Freckled Fawn Star enamel dots and added title and thats how I complete my layout. Here's the close up of the layout. The Amy Tangerine transparent stickers is just too cute! They look like stamping instead of stickers. Welcome Laura Vegas our April Guest Designer! !